I’m hearing that fences around the schools are a done deal. That really really bothers me. What a total waste of money. They are going to be ugly. They aren’t going to improve safety. The animals will hate them. I will hate them. And I refuse to believe it a done deal. 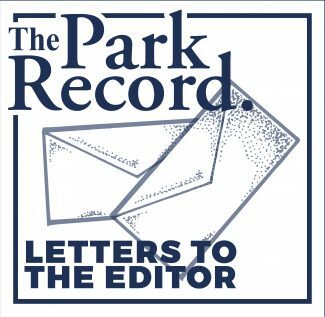 I wrote a guest editorial two weeks ago, suggesting that the City Council’s current plan to make the China Bridge parking garage a pay facility was somewhat ill-conceived, and did not properly address the needs of the employees of businesses on Main Street, or local residents, and suggested an alternative approach. To date, the only person who has reached out to me to discuss this alternative approach is Dana Williams. Crickets from Andy Beerman and the incumbent city council members. This suggests to me that Dana Williams is the candidate who sincerely has the interests of small businesses and residents of Park City in his mind. If you have not yet voted, I would suggest that you keep this in mind, and vote for Dana Williams, and give some serious thought about whether you want to re-elect incumbent city council members. My family and I moved to Park City from Connecticut. It’s beautiful and historic there but it does not hold a candle to Park City. While there are many things that make our community here so wonderful and unique, I must highlight the importance of our non-profit organizations that enrich our lives. My family has benefited personally from the National Ability Center, Mountain Town Music, Nuzzles & Co, and KPCW, to name just a few; also, I believe strongly in the work done by People’s Health Clinic, Peace House and Mountainlands Housing, among others. On Friday, November 10, everyone has the opportunity to give back to these and all local non-profits during Live PC Give PC. Thanks to the Park City Community Foundation, you can donate online to your favorites during this day of giving. I know on that day I will contribute as much as I can to our non-profits to help keep Park City amazing. Please participate by going to livepcgivepc.org and supporting the causes that matter most to you. Rolling through the aspens on my mountain bike over the weekend, I felt uninhibited. I wasn’t worrying about work or house chores. I was in the moment. As I eased up at a trail fork I thought to myself, this is the reason I live in Park City and the reason I can’t seem to leave. I was born and raised in this town and I’m proud to call Park City home. Park City has seen many changes over the years and now our mountain town isn’t as little as it once was. In this growing city, we try to find a balance of growth, development while maintaining a freedom in the mountains, trails and our lives. As I consider our future, I can’t think of a better person to lead us in the challenges ahead than Andy Beerman. The first time I met Andy Beerman in person was at the climbing gym. I watched as this tall, lengthy guy made such easy work of a climb that I could only dream of completing. When I realized it was the Andy I’d heard of as a leader in our community, business owner and environmental steward, I wondered how he got it all done? I’ve come to realize that’s how committed he is to our community and to doing the right thing. His exemplary record on open space, affordable housing and quality of life only compliment his hard work on the tough issues of growth, traffic, our schools and more. Andy gives us a path forward to keep Park City the place we all know, love and want to live in. I support Andy Beerman for mayor. Basin Recreation (BR) will soon begin cutting a new bike trail through heavily used moose habitat in Toll Canyon. The trail will also slice through what are currently isolated infestations of a high-priority noxious weed, garlic mustard. BR’s consultant missed both of these important ecological aspects of their proposed trail alignment. Their report mentioned deer, elk, and “potentially moose” might frequent the area. Anyone familiar with the area knows that abundant moose activity is the wildlife story here. There was no mention of garlic mustard, although approximately $170k has been spent since 2009 towards ongoing control efforts that include nearby neighborhoods and areas adjacent to BR’s proposed trail. BR’s report noted two alternative alignments would have fewer or minimal wildlife impacts. In spite of these oversights of important ecosystem attributes, BR continues to cite the report as evidence they’ve selected the “least impactful” alignment, along with numerous other glowing references to their commitment to ecological integrity, sustainability, etc. While this information was repeatedly brought to BR’s attention during the public comment period, they’ve never even acknowledged their trail will crisscross multiple areas with heavy moose activity. BR also decided better access will make it easier to “eradicate” garlic mustard, yet they know that recreational traffic is already spreading it along other local trails. Adopting the alternative trail alignments would avoid some of the most heavily used moose habitat in the area, avoid existing weedy areas, and be much more consistent with the original, publicly reviewed, conceptual plan. Unfortunately, BR has refused to adjust their “sustainable” trail alignment to address these ecological concerns. What a shame. Our public open space and wildlife habitat deserve better, more balanced management. I’d like to respond to the letter written in the Oct. 28th edition of the PR, by Christopher Wickland. If we are hoping to have smart and serious discourse, lets start by agreeing not every statement is gendered. I’m a long time feminist — both the second and third wave, active in many progressive issues for a solid 30 years now, assisted in the Women’s March, and I proudly wear a Nasty Woman t-shirt. I feel it’s important to shine some light on this. We can disagree on issues, tone, and policy. We can call out letters as being nasty or wrong, or silly, without it being a case of the “isms”. The slings thrown at Jesse Shetler just aren’t true. The letter from Mr. Wickland is a miscalculation at best. Having worked with Shetler, and seen his commitment to community for the last 20 years, he is an ally to this movement, and others. Frankly, it’s hard to think of another business owner who steps up as much for people in times of crisis and tragedy, as well as celebrating accomplishments. It diminishes our community to use this Mayoral campaign as a platform for unwarranted assaults on character. He called a letter nasty, not a person. The difference is crucial to creating real discourse. Thank you to Robin Milne and the Promontory Club for hosting the Mother/Daughter Witches Brew fundraiser for the Park City Community Foundation Girls’ Giving Fund on October 28th. This fundraiser introduced over 100 girls and their moms to the new Girls’ Giving Fund and raised over $3,000. Everything was perfect with amazing food, decorations and fun activities. We launched the Girls’ Giving Fund this summer with the goal to raise $10,000 to help non-profits in Park City. Inspired by the Women’s Giving Fund, this new effort gives girls in our community the opportunity to make a difference by giving back. Thanks to Robin, the Promontory marketing team, and the Shed staff we are well on our way to reaching our goal. The Girls’ Giving Fund is planning on announcing our grant recipient at the Women’s Giving Fund holiday party on December 4th. There’s still time for girls to get involved and donate at http://parkcitycf.org/our-impact/womens-giving-fund/girlsgivingfund/ or during Live PC Give PC on November 10th. Thank you to Promontory and all of our members for supporting us and our goals! On November 7, Park City residents have the opportunity to vote for their future Mayor. I wish I was able to vote in this election, and if I could, I would vote for Andy Beerman. In early 2018 I will have the opportunity to move into Park City, as a full-time resident, thanks to the affordable housing initiative, spearheaded by Andy and the current council. I have always poured my heart and soul into my work, and my experience is one of service to the community and future generations. I am a teacher, nonprofit leader and currently a coalition builder for our community wide initiative to address mental health and substance abuse prevention with our youth. I love what I do, and am grateful for the opportunity to serve. This type of work is not highly rewarded in the free market. People don’t go into teaching and nonprofit leadership to make big money. We go into it because the rewards are deeper and more profound. Andy understands this. It is why he is in service to the community as a member of council, and why he seeks the role of Mayor. He is a true statesman and public servant. He also understands the free market never pays teachers and nonprofit leaders what they could make in the commercial sector, but their service to the community is invaluable – it is priceless. This is why he has led with heart to ensure that folks like me and my kids have a place here. Please consider the importance of a whole, complete, authentic community, and Andy’s role as an advocate and leader who has developed and implemented an aggressive affordable housing plan, when you cast your vote for Mayor. I look forward to voting as a resident of Park City in the next election. Thank you Andy. It’s time to vote! And I just cast mine for Andy Beerman. I first met Andy in 2002 when we both served on the Historic Park City Alliance board and was instantly impressed with him. Andy has a way of taking in all the facts and objectively analyzing any situation prior to making to a decision. He’s fair, treats everyone equally, is proactive, experienced, smart and puts others in front of himself to serve well. I believe we are in a critical time in our town as we grow and yet try to maintain our culture so it’s still the place we all love. Andy gets this. He will work hard for all of us and do what’s needed in this key time. As an active participant in and advocate for our community, I enthusiastically endorse Andy Beerman for Mayor. This mayoral race is our opportunity to define not only the city we live in today, but also the future of Park City. After careful consideration, I believe Andy has the temperament and communication style to listen to his constituents and to translate our cares and concerns into actionable community initiatives. He has the ability and willingness to effectively negotiate with developers, large businesses, UDOT, and the State on our behalf. Andy demonstrates that he has the foresight to tackle challenging yet impactful initiatives like community sustainability ― from attainable housing to traffic to open space and the environment. Andy’s recent nomination to the Olympic Exploratory Committee as the Chair of the Climate and Sustainability Working Group proves that not only is he a local leader, but he is also a leader recognized on a state and national scale. His knowledge of and passion for environmental sustainability is critical to our health and welfare; it gives our municipality the opportunity to make sustainable changes on a local scale. This awareness will translate into direct decisions relating to important issues facing our community, including but not limited to transportation and air and water quality. Andy and our current local leaders work tirelessly and with notable success on open space, attainable housing, traffic mitigation and thoughtful growth such as the arts and culture district. Accomplishing these initiatives takes a skilled negotiator with an effective communication style. Although this race may feel personal to us, our votes should not be based on emotion; but rather on a good business decision. There are so many aspects of our community that make it exceptional and right up near the top of the list is the incredible generosity of its residents. As we approach the Park City Community Foundation Live PC Give PC day of giving on Friday November 10th we all have the opportunity to support the local non profits that matter most to us. Personally, I look forward to supporting smaller start up non profits in addition to worthy established organizations. A special encouragement to contribute to my associates at Deer Valley Resort as part of our company wide Wellness initiative which emphasizes that charity is a key component to overall health and wellness. Please join in the fun at livepcgivepc.org. Thank you for printing the extensive article regarding “The Great Wall” at Jeremy Ranch. Following are a few additional points that might be relevant to this subject matter. 1st: Some months back, I attended a DOT meeting presenting the specifics of this subject matter. My first question to a DOT representative was to show me the specifics on increased traffic flow that would justify the construction of another lane for west bound traffic. I was not shown any statistics. The answer to my question was; “they have an additional lane on the East bound side of Parley’s summit” and therefore they should have one on the West bound side. I have been a home owner on Saddleback Rd. for the past 9 years and the only time I have seen traffic backed up on the West bound side of Parley’s summit is due to an accident, construction, snow/ice, or a major holiday. Therefore, there isn’t any need for an additional west bound lane. To speed up the traffic on Parley’s summit that will be all backed up at the base of the mountain resolves nothing! 2nd: It took years and private donations to build wildlife fencing, that is still being constructed, which will partially be taken up should a “Great Wall” be built. What a waste of tax-payer and private donation monies. 3rd: Supposedly, the voice of the majority is still viable. This wall in some way affects everyone that drives/walks by it on a daily basis. Therefore, all of these residents should have a voice in this matter, not just a few. In summary, to build a wall for a selected few to support the building of an additional lane for traffic that is not needed is just another example of wasting tax payer money. How fortunate Park City is to once again have the opportunity to vote for a proven, compassionate, steady hand as our Mayor. During his three terms as Mayor, Dana Williams led with his Man of the People approach to addressing Park City’s challenges and opportunities. From the high of the Olympics in 2002 to the worst economic crisis of our lifetime in 2008-2009 Dana led with a steady hand, and a vision for what would be best for all residents. It is that point of what is best for most of our citizens, the 99%, that I believe sets Dana apart. 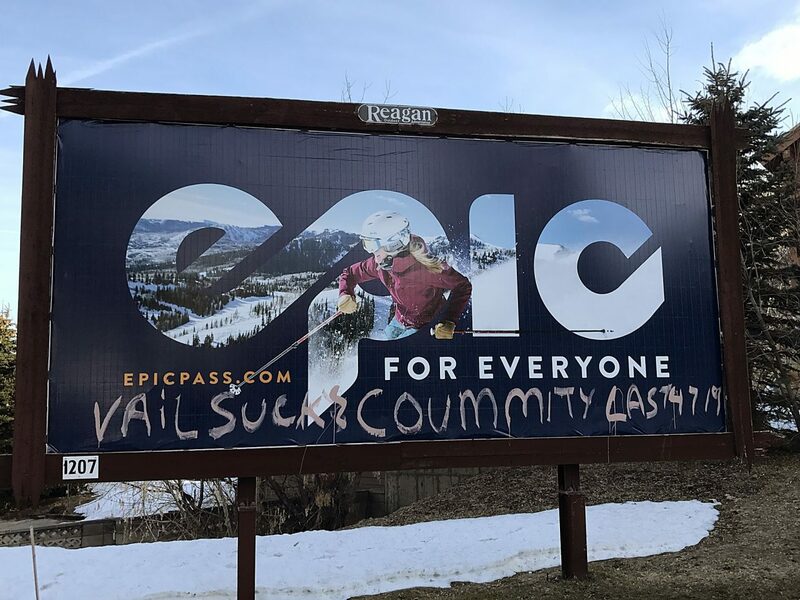 I have been concerned to see the “Political Elite” of Park City bombarding us with their opinions, about who should be elected Mayor next Tuesday. From their 30,000 foot view it is hard to see the challenges facing Park City. Dana has been the guy to roll up his sleeves while Mayor and after serving as Mayor, to tirelessly help find solutions to issues of public lands, affordable housing, public transportation and who owns the Park City Brand, to highlight a few. In this challenging time, for far too many of our neighbors, we are indeed fortunate to be able to once again say, “Dana is my Mayor”. I thank god everyday when I look across my street, and see no houses. The city bought that land years ago (thanks Dana) there is over 7 houses being built in my area, too small of a street for that much growth. Up above on the ridge, there are 3 new houses. We fought that for years. And this all happened in the last 3 years. Every day, I hear someone say, I wish the they would shut the gate! They may have been here 2 years, but it’s the same feeling, I’ve lived here for 45 years, I’ve seen a lot of changes, but that gate will never be closed. That’s why we need Dana to help stop the flow, you’re going to wake up one day and say, this looks like the place we ran away from! Another place that has gotten out of control (and greedy) is the county. Dana knows those good old boys, and knows how they work. We need a strong voice, to be heard. This parking thing is out of control, new meters, paid parking, do you really want your kids, riding a bus late a night, to get to another parking lot? What is up with those new buses. I think a rock band has come to town, every time I see one. There is never anyone on them. We only need them about 2 months out of the year. Dana sees all these problems, as does everyone else. Who is running this town. Someone needs to knock some common sense in these people. Don’t let me get started on the opponent he was my neighbor on main for 12 years, the stuff he’s pulled the last few days, really? It only makes him look that much worse! Let’s see a skirting rink on brew pub parking lot, oh what about a town lift there too. Oh that’s right you own the hotel across from there. I’ve never seen Dana try to gain money threw his position! Just saying! If you love PC as much as I do. Please vote for Dana. The mountains here in Utah have become a point of refuge for many here in the valley. I know for myself I head directly for them when all of life’s stresses start to pile up. Nothing can clear the mind and cleanse the soul quite like that “just right” run down the slopes or finding that quiet moment to yourself during a hike that just hits the mental reset button. It is a characteristic of Utah that brings people here from far and wide because of its uniqueness in the world. Unfortunately, not all of us have the ability or resources to experience Utah in this way and that is why my colleagues and I at Team Utah Snowboarding, Inc strive to open up these resources to the youth in our communities that would never be able to take advantage of these opportunities on their own. Our programs are a feeder to the US Olympic Snowboard Team. Team Utah Park City (TUPC) is our set of programs based in the Park City community. TUPC serves 75 athletes annually, with programs hosted at Park City Mountain, the Utah Olympic Park, and USSA’s Center of Excellence. We believe that competitive success is a byproduct of our holistic set of programs all designed to develop strong character in our athlete members. We are dedicating 100% of the funds we raise during LivePCGivePC to our scholarship fund. Your donation to our organization will directly support the dreams of local snowboard competitors. On November 10, 2017, Park City Community Foundation, Team Utah, and all nonprofit organizations are inviting you to support the community, organizations, services, events, people, and places that you love. 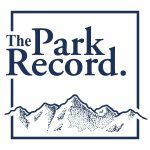 On this single day, we are asking everyone to visit livepcgivepc.org and support the organizations that make our lives vibrant and uniquely Park City. Jacob Levine Executive director, Team Utah Snowboarding Inc.